I have made the collection of the most rated themes of 2015. With the increasing use and popularity of WordPress, the number of WordPress themes is also increasing rapidly. 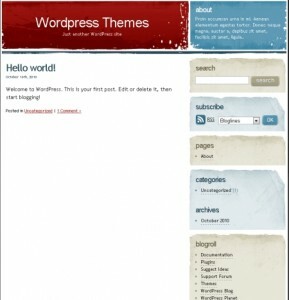 There are thousands of free and paid responsive WordPress themes are available. Thus, I have picked the only five free popular themes from WordPress.org on the basis of themes rating. Hopefully, that will help to find the suitable theme for you. 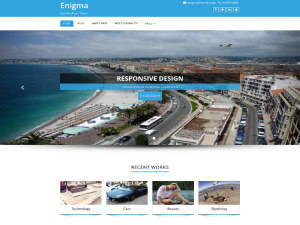 Enigma is the superfine multipurpose responsive theme with WPML Compatible. It is based on BOOTSTRAP CSS framework that adapts the website to mobile devices and the desktop or any other viewing environment. It has 4-page layouts, 2-page templates. In header area and footer of the theme offers to add Social Media Links. Theme Options for full CMS control option to match logo & website, wide layout, light & dark color skin, the theme is translation ready. It is Retina ready theme. 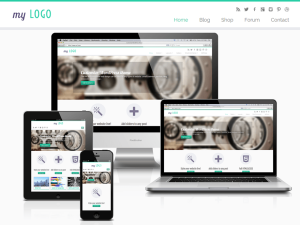 The Theme has a support of “WOOCOMMERCE”. 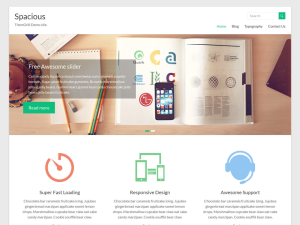 Customizr is a versatile and easy to customize WordPress theme. it allows anyone to create a beautiful, fast and mobile-friendly website compatible with all browsers and devices. Customizr works fine with major WordPress plugins like WooCommerce, bbPress, JetPack and many others. Customize fonts with Google Fonts. 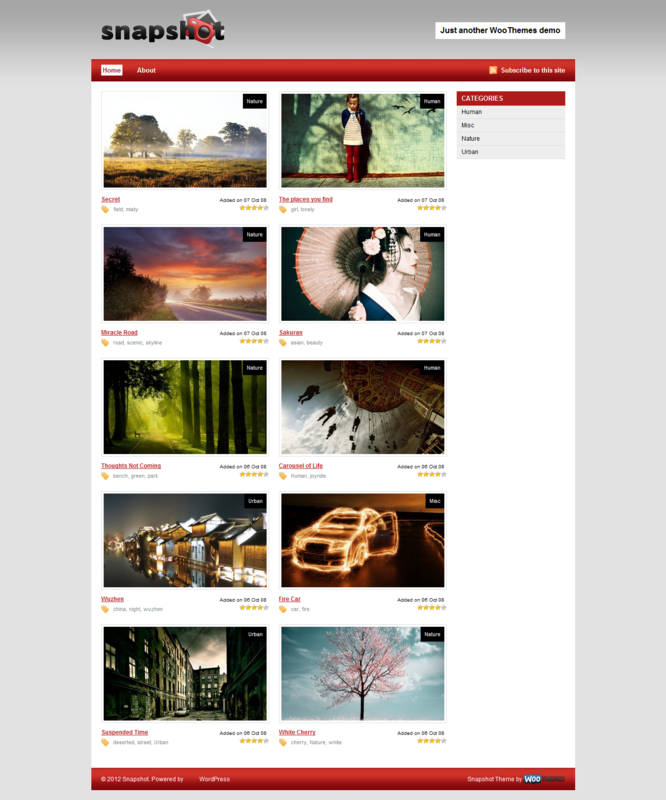 Hueman is a responsive 100% high-resolution theme for blogs and magazines. Unlimited topbar, header, footer and accent colors. Unlimited widget areas, 0-2 sidebars to the left or right that can be uniquely specified for each page or post. 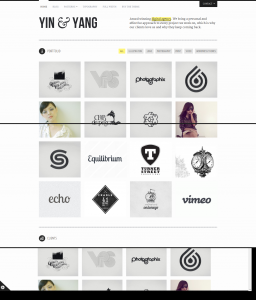 300px / 220px fixed width sidebars, 0-4 footer widget columns, almost zero layout images, related posts and post nav. 10 post formats, good SEO, 3 flexible custom widgets, localisation support, social links, logo upload and many more useful admin panel features. 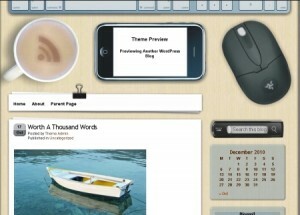 It has 4-page layouts, 2-page templates, 4 blog display types, 13 widgets areas, 5 custom widgets. The theme has an awesome slider, primary color option to match your logo & website, boxed & wide layout. A theme is a translation ready in Russian, Norsk (Bokmål), Czech, French, Spanish, Lithuanian, Dutch, Traditional Chinese (Taiwan), Slovak, Catalan, Hungarian, German, Polish, Brazilian Portuguese and Greek..
Vantage is a flexible multipurpose theme. MetaSlider for big beautiful sliders and WooCommerce to help you sell online. The theme is retina ready. 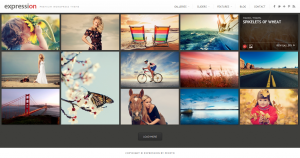 I have collected here some very good photographic themes for photographers using WordPress. They can shows photos and their creative work online from theme showcase. 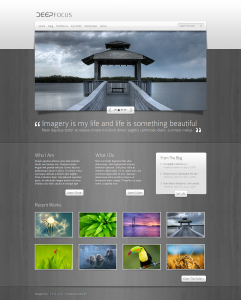 WordPress themes has great collection of all type of theme and one of them is photographic themes. Hope you will enjoy these photographic themes. 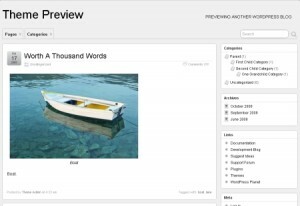 DeepFocus is a premium gallery themes such as ePhoto and eGallery. Now you can turn your WordPress blog into a fully functional online photo gallery while still maintaining all of the features of a normal blog. Along with the gallery layout, Along with the gallery layout, DeepFocus comes with a robust blog and CMS-style homepage as well, making it an amazing solution for artists/photographers looking to build an online presence. Now your website will display beautifully and intuitively on all devices. Imbalance is a free theme. It is excellent choice for any online magazine, blog or portfolio websites. 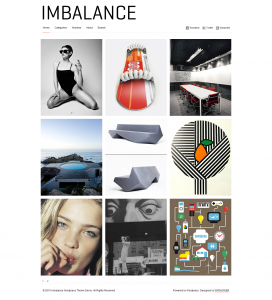 By the use of Imbalance theme, you can easily fresh-up your photos. In consideration of additional features and flexible layout it is a very user-friendly theme that can attract new visitors to your web-site. Unique homepage design allows you to use the template for different goals whether it is a professional Portfolio or a personal Blog. 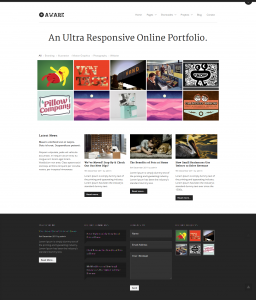 Cleanr is a responsive, corporate, AJAX enhanced, swift, minimalist Portfolio WordPress theme. Portfolio Items support for both Images, Slideshow & Embedded Videos, multiple Post Formats (Audio, Video, Standard, Image) and more stuff which is waiting for you to discover. 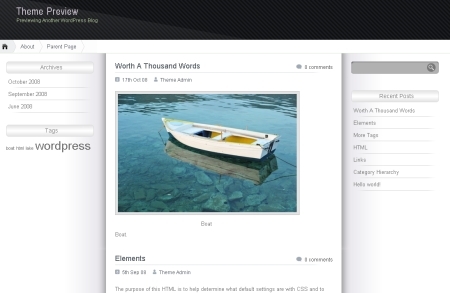 Persona is a blog style premium WordPress theme from ColorLabs. You can connect and share all your social media profile contents on your website by using this theme. Whether it’s a twitter tweetm instagram snapshot, Facebook post, Flickr photos, Persona theme will collect all posted content on internet and will arrance and bring them into focus. Persona WordPress Theme has great collection features like fullscreen design with responsive capability, usrefriendly interface, display video and pictures in attractive way, integrated with different social profiles. Fashy is a Fashion Blog and Portfolio Premium Wordpress Theme, suited for users who want to run a professional or personal blog and wants to showcase your products, services or news with a unique looking website. Slideshows are a unique part of the theme and were inspired by a great site for tutorials called Tympanus. You can see the original slideshow. The greatest feature on the home page is the recent posts / portfolio section. 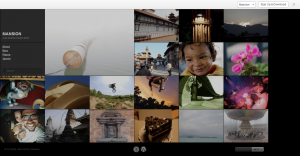 SNAPSHOT is completely free and flexible enough to be used for either a photo showcase, portfolio or design gallery. Theme have two different theme layouts / capabilities to allow you to switch between a photoblog / portfolio showcasing your own work or using Snapshot as a design gallery and theme have three uniquely, different colour schemes. Triton is a all in one wordpress theme with awesome 3 fonts, 1 slider, 1 layout & easy to use theme option panel. 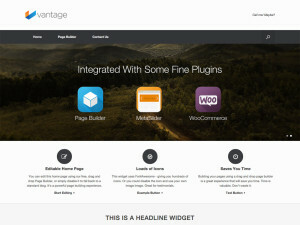 The Theme also includes 3 built-in widgets and 5 useful shortcodes. The theme is SEO Friendly and has plenty of user-friendly options. The theme also comes with a Contact page Template which doesn’t require any setup. 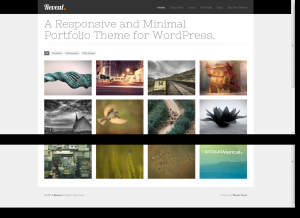 This theme is premium and shows us how cool and flexible WordPress Portfolio Themes can be. The vendor focus on one thing – creating the best photo and portfolio style theme. Photocrati Focus comes with 15 theme styles + four homepage styles for each = 60 looks out of the box (see the demo below). iPad & iPhone compatibility and tons more! VideoPlus is a feature-rich theme that can be used for video sites, news & magazine sites or any type of sites that you can imagine. 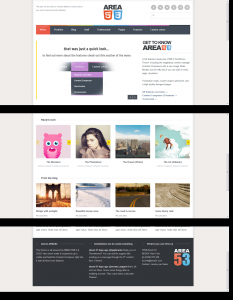 AREA53 is a premium Responsive (full) HTML5 with a cool responsive slider. It’s full featured with the Content Composer to create professional pages in minutes, filterable portfolio and much more. Modularity is an oldies among the WordPress portfolio themes but still relevant I think. It is a highly customizable multimedia theme framework for WordPress. 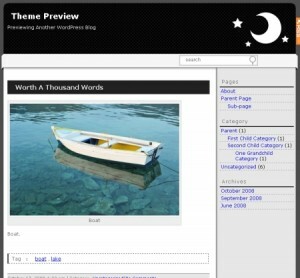 The theme design was developed for users who appreciate visual browsing and prefer a minimal layout, with their photos and multimedia featured front and center. 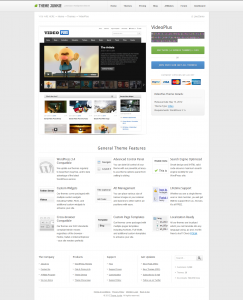 Virtually every aspect of the theme design can be controlled from the Theme Options page. 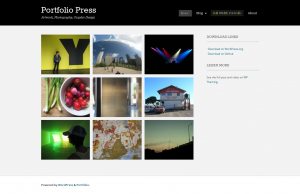 Portfolio Press is a free responsive WordPress theme for showcasing your photography, art, web sites, or other projects. It also works nicely as a regular blog site. An options panel is available for uploading logos and changing the layout. There’s also support for various post formats and menus. Viewfinder is premium and perfect for photographers who need a simple yet elegant showcase for their artwork. Coming in two different flavours, light or dark, and with the ability to add an unlimited number of galleries, there’s plenty of scope to set this up just the way you want it. Photolux is a powerful and elegant Portfolio and Photography WordPress Theme which is best suited for photographers and creatives who use portfolios to showcase their work. Photolux theme is powered by the advanced Pexeto Panel, which provides tons of options to manage and modify any aspect of the theme. Emporia is a premium responsive wordpress portfolio and blog theme with beautiful three-column page layouts, slideshow support, five alternative styles, widgets and drop down menus. 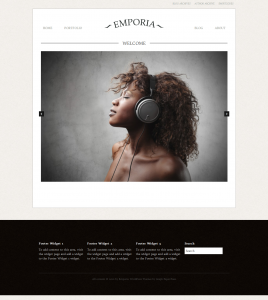 emporia is a child theme for the base theme framework. Architectos is perfect for architecture or design orientated blogs or for creative people/agencies who’s tired of regular thumbnails grids layouts. 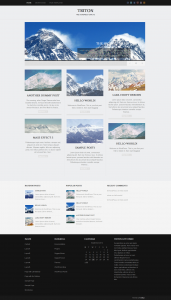 Here is Collection of high quality free wordpress themes. 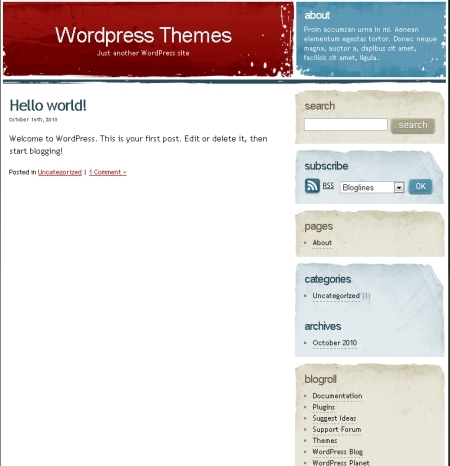 A desk-like theme tested up to WordPress 2.6.1. Version 2.0 includes features requested by bloggers. The coffee cup is an RSS button. 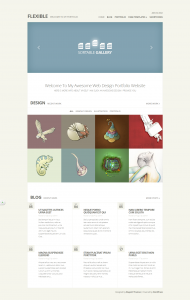 Different sidebar, mouse and background color options are available for download at the theme’s page. Marble desktop covered with a mix of old and new items, such as some vintage papers, a stainless steel pen, and, a hot cup of coffee! Now with drop-down menu support! Please read the included changelog.txt and readme.txt files for details of the latest changes and important notices. Width fixation of two columns and theme for widget. It confirms the operation with WordPress versions 2.7 and 2.8. It confirms it by the latest version of Safari, IE, Lunascape, firefox, Opera, and Slepnir at the time. Apple x is a premium theme which has a vector based totally unique design. It has a Header vector image and superb web 2.0 color palette with clean coding for easy modification. 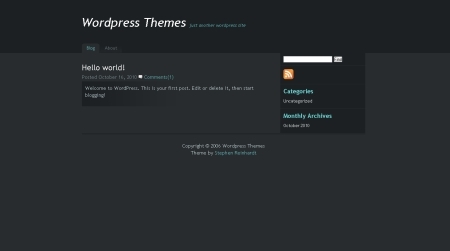 Stylish theme having three columns with content in center. 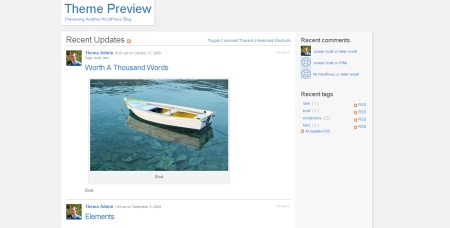 Fixed-width, widget-ready, translation-ready, paged Navigation and threaded comments. Several options available to customize the theme. Custom descript. WordPress Constructor Theme for those who want to create a unique blog design quickly and effortlessly (many layouts, configured colors, custom fonts and slideshow, etc). A group blog theme for short update messages, inspired by Twitter. Featuring: Hassle-free posting from the front page. Perfect for group blogging, or as a liveblog theme. Dynamic page updates. Threaded comment display on the front page. In-line editing for posts and comments. Live tag suggestion based on previously used tags. An elegant, versatile and browser-safe theme with a power-packed set of options. It has 19 widget areas, one-column, two-column and three-column fixed-width and flexible-width formats, 10 pre-defined templates, 17 pre-defined color schemes, two customizable multi-level drop-down menus, featured posts, a magazine layout, tabbed sidebars, widgets for Twitter, Social Networks and Google Translator, translations in many languages and RTL language support. 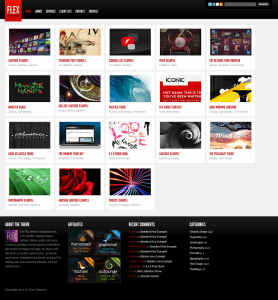 Holiday, Minimalistic two-columns, fixed-width, widget-ready, seo optimized red theme for WordPress.